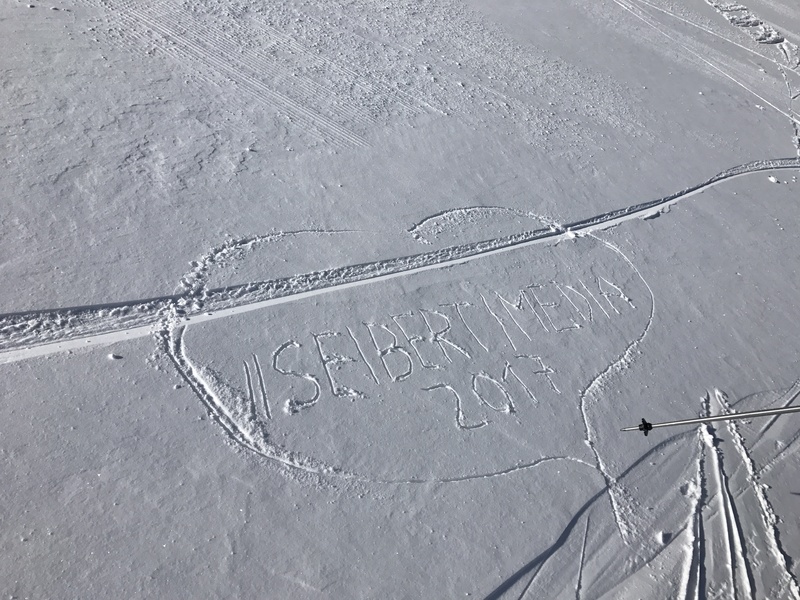 A few weeks ago, it was finally that time again: Our annual //SEIBERT/MEDIA ski trip was on! 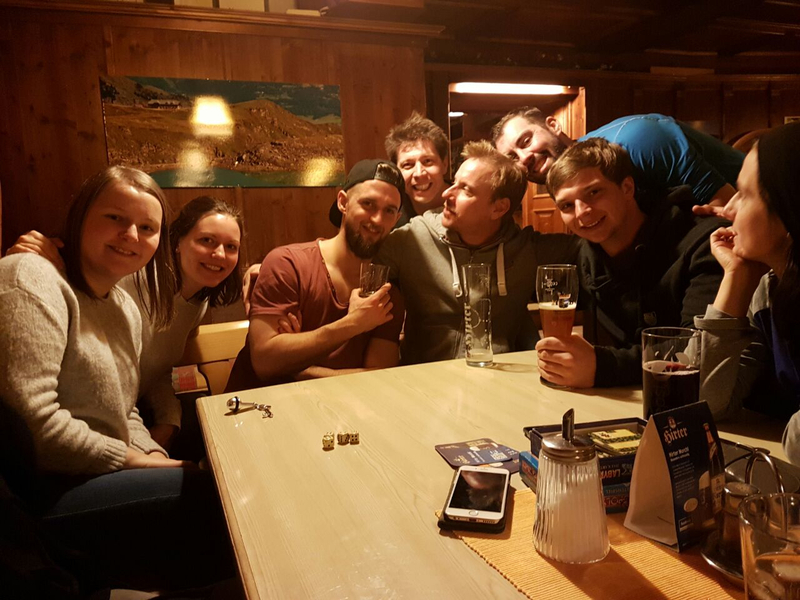 Approximately 20 colleagues and friends of //SEIBERT/MEDIA were in our Tour of Austria. Even better - the company paid part of our overnight expenses with its so-called recreational subsidy. This can be used by an employer once a year for each employee and is considered a tax deduction. On a Thursday at 4am we set off: In self-organized car pools we drove to Kaprun in the beautiful Pinzgau (Salzburger Land). Our destination this time was the rustic Krefeld Hut (page in German), built over 100 years ago. 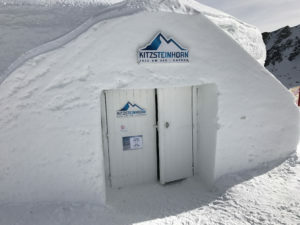 It is situated directly in the glacial ski area at 2,300 meters above sea level, at the foot of the elegant Kitzsteinhorn mountain, which is a popular winter sports base for enthusiasts and those who want to be in the snow and cold weather. 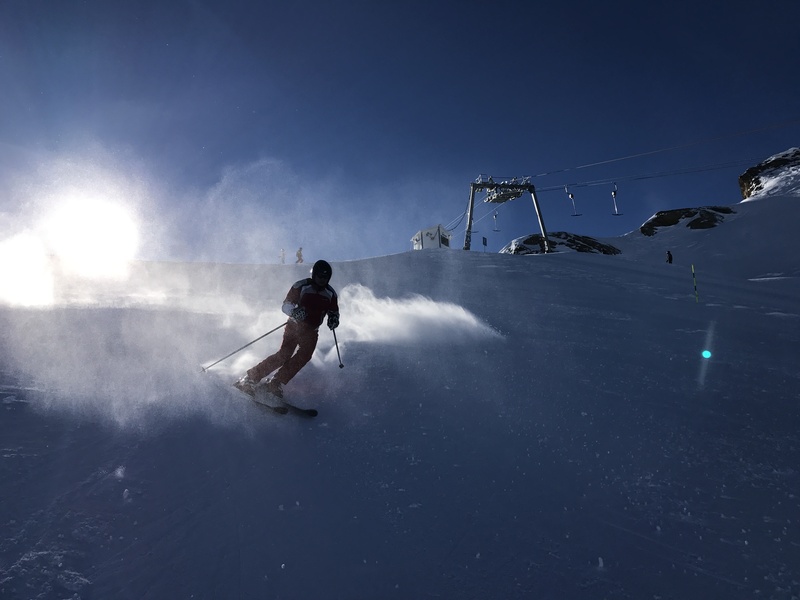 After our arrival we didn't take long: After renting our skis, we went directly to the slopes. 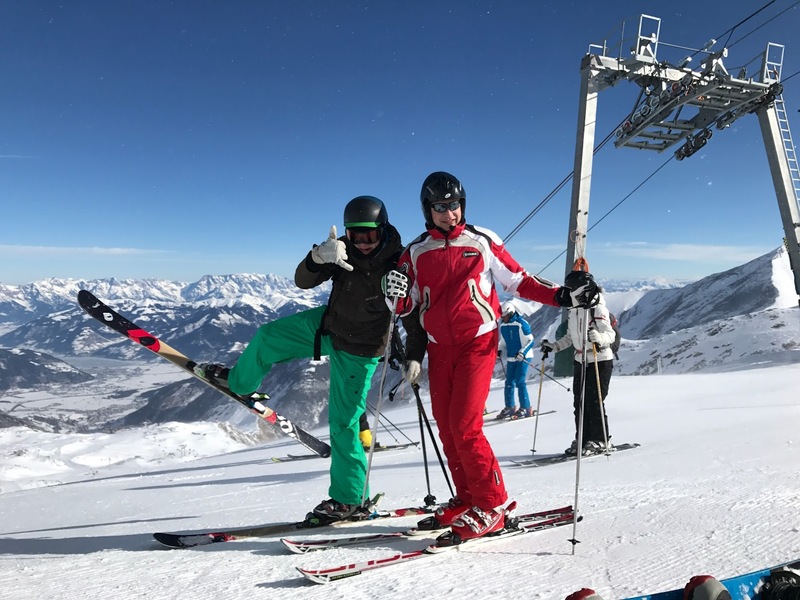 We quickly realized that there were not only a range of characters in our group, but also all possible levels of ability: from the bloody beginner to the piste-tested ski veterans - our skills ran the full gamut. The journey from the ski rental to our accommodation had to be done on our skis - the first challenge for our beginners. 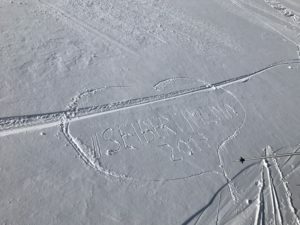 But we did it! ? 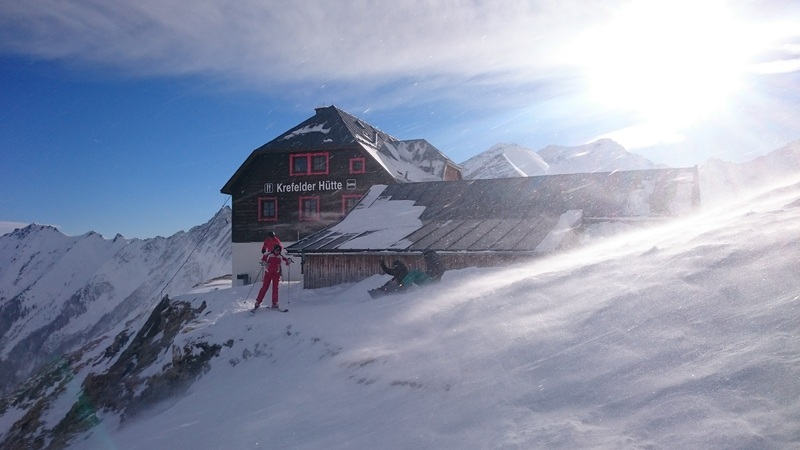 The old men of the slopes were able to provide useful tips and tricks to the less experienced, so we arrived at the hut by the end of the first day. 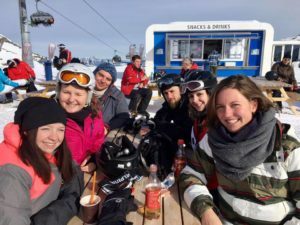 Despite fatigue and exhaustion, we sat together late into every evening and left for the slopes early each morning (but only after an extensive breakfast!) In the glorious blue skies and bright sunshine, we really enjoyed each day in the snow. 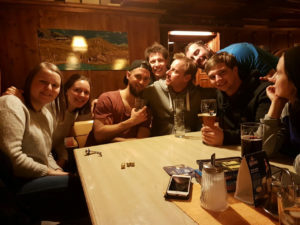 We spent the evenings together relaxing with a few games and, of course, a few drinks. "A chain is only as strong as its weakest link. " 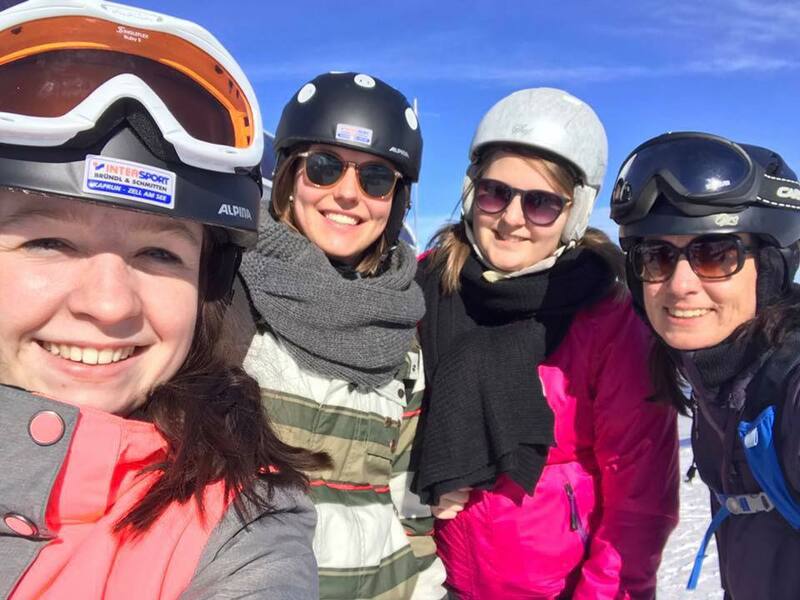 These four days on the slopes flew by, and have welded us together as a group. 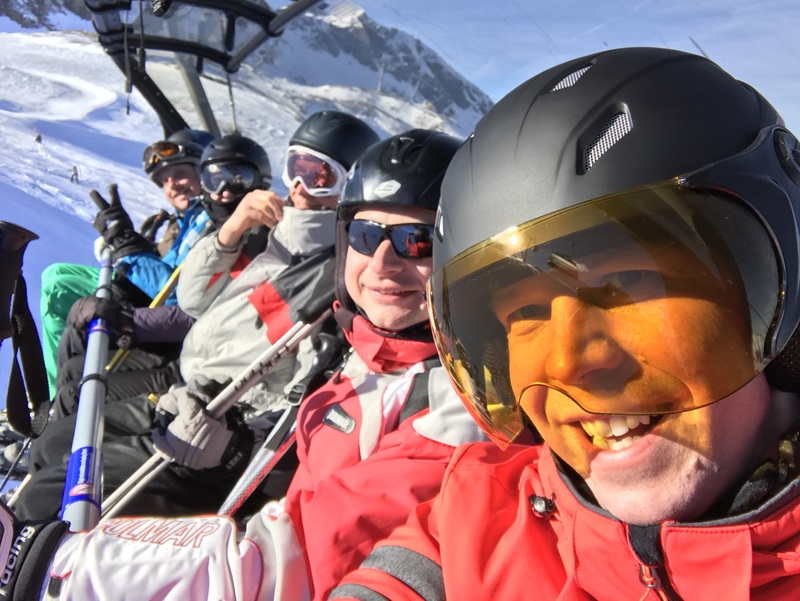 Skiing down the slopes together and sharing personal stories in the evenings was a great experience, one which I will not forget any time soon. 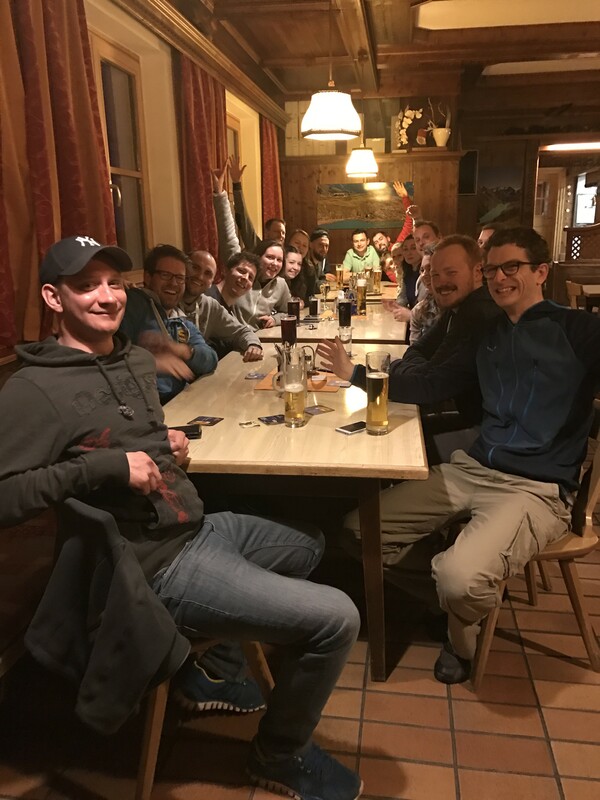 And since we had participants from all the different sections of our company, we also had the opportunity to get to know colleagues from other teams better - each of us would hardly have anything to do with each other, and we'd only normally meet in the kitchen. 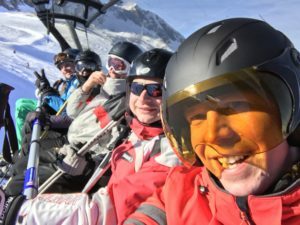 Maybe you are game to join us during the 2018 ski season? If you want to get to know us personally, just come to the next Open House (page in German)! And see if we have a suitable job offer for you (also in German)!